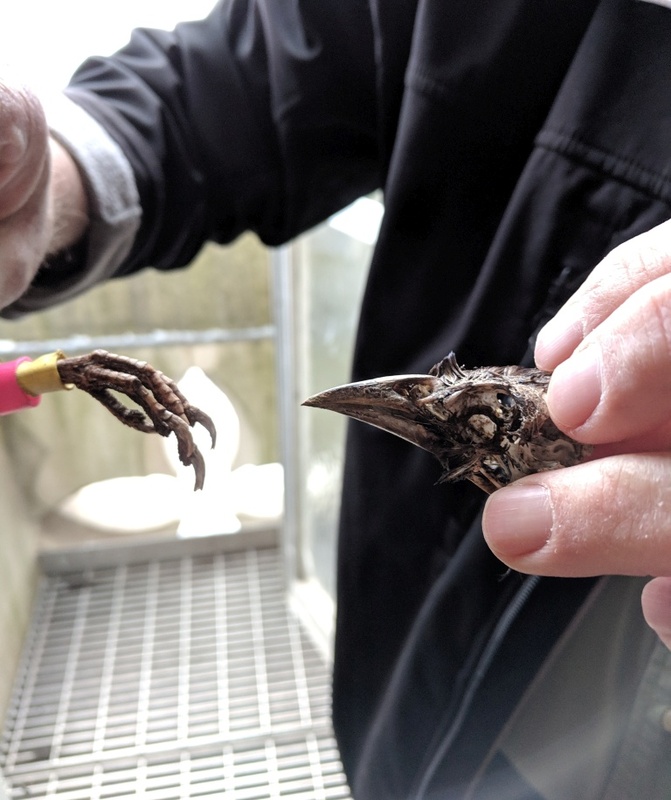 Early this month when Bob Mulvihill stepped out on the ledge to clean the Cathedral of Learning falconcams, he found this evidence of a peregrine’s meal. What species is it? 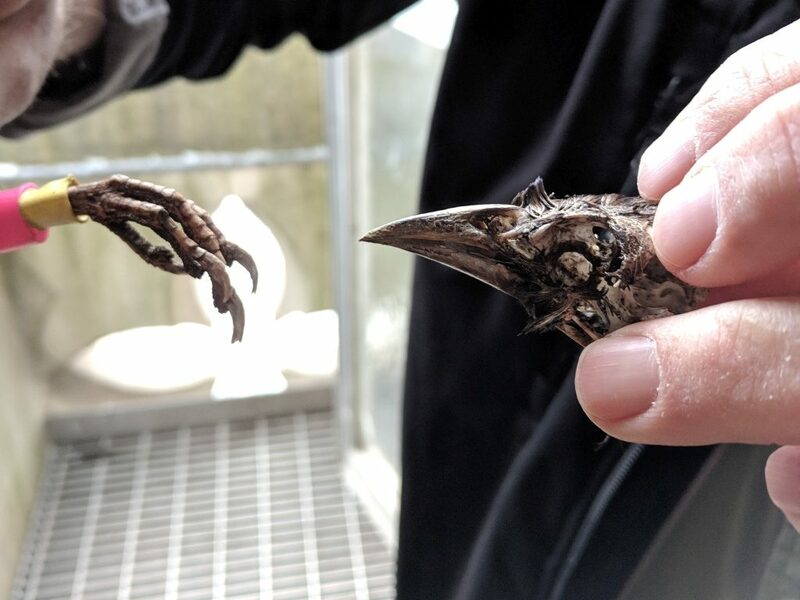 Did the peregrines eat a crow? The remaining head feathers are black and slightly iridescent. The beak is big and a bit down-curved. The feet look rather large for the bird’s body. Obviously the bird has plastic color-bands but there was no USFW band on its right leg so there’s no way to trace it. 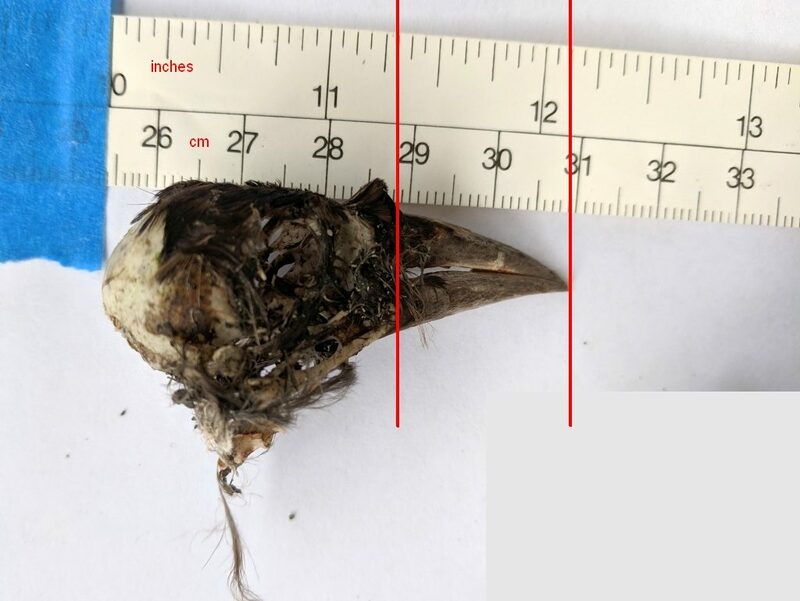 Crow beaks are 2.5 inches long. How long is the beak on this bird? Less than 1 inch. The iridescent head feathers and slightly down-curved one-inch bill point to a common grackle rather than a crow. But why would a grackle be banded? Donna, songbirds are banded when the individuals are being studied. I don’t know of any grackle studies but I am going to try to find out. Why not a grackle and a racing pigeon? Why assume it’s from the same individual bird? The bands look like pigeon bands.